You can rely on Dannevirke Florist to hand-deliver fresh flowers and plants to all the major suburbs, hospitals, churches, funeral homes, and nursing homes in the Dannevirke, NZ area. 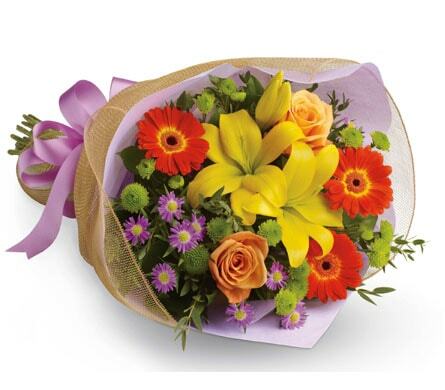 We can send your flowers same-day delivery and next-day delivery to Dannevirke and surrounding areas. Select Designer's Choice for our freshest flowers, hand-arranged by Dannevirke Florist. Please let us know if you have a special request for any of delivery areas we service. Do You Need to Find a Nearby Dannevirke Florist? Rich in history and tradition, our floral creations at Dannevirke Flower Arrangements are fittingly timeless to express every sentiment you need to relay. Dannevirke, a service and rural town located in the Tararua region, boasts a charming history of Scandinavian charm and Viking culture. The name Dannevirke means �Danes Way� and from a small �sleeper� town, the city has now thrived into a flourishing epicentre of trade and activity. In a unique manner, the city of Dannevirke is renowned for its holiday and tourist attractions, as it is for a community-rich way of life for the locals. Dannevirke Flower Arrangements proudly deliver to visitors and locals alike, catering to hospitals, medical clinics, schools, along with churches and places of worship in every denomination. We also deliver to cemeteries, funeral homes and crematoriums, as well as aged care villages and assisted living communities in Dannevirke and its surrounding areas. Some of the churches we�ll deliver your arrangement to are Knox Church, The Salvation Army Church in both Gordon and Allardice streets, The Hub; Dannevirke Christian Fellowship, Hosanna Baptist Church, the Catholic Church and the Anglican Church. We can also show someone you�re thinking of them by delivering to Dannevirke Community Hospital, Bupa Rahiri Care Home and Retirement Village and the Eileen Mary Residential Care Centre. Dannevirke Flower Arrangements can likewise help offer condolences by delivering to the Kelly Funeral Home, Tararua Funeral Services, and Mangatera Cemetery. Flowers say a lot of things for us, they speak our emotions and relay anything from good luck, congratulations, I�m sorry, happy birthday, and traditionally, I love you after all this time. Whether it�s been 2 months or 20 years, we have a special bloom to gift your loved one with beauty and sentiment. Our �Stolen Kisses� bouquet is a gorgeous choice to celebrate embarking on a life together. 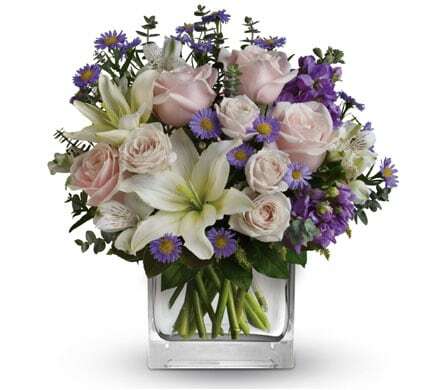 The dazzling array and combination of pink lilies, vivid gerberas and white roses will easily profess the light you provide one another, along with the deep commitment for the many years ahead. The mesmerizing �Undying Love� arrangement is our creative dedication to eternal love. With a glorious blending of white daisies, pink alstroemeria, and timeless red roses, show that your love is as vibrant and alive as it was all those years ago. Dannevirke Flower Arrangements is located in the city of Dannevirke, and is happy to deliver to businesses, facilities, and surrounding residential areas.